This is the location of the daily tea dance. 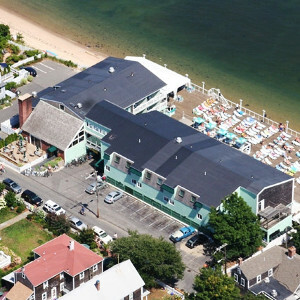 Open seasonally, this iconic, adults-only hotel catering to lesbians and gay men overlooks Cape Cod Bay, and is set among lively Commercial Street's shops, cafes and art galleries. The pool is open to the public during the Summer, mainly during events week. Every afternoon at the stroke of four, the deck of the Boatslip is transformed into Provincetown's biggest outdoor dance party. Hot bodies, good friends and great dance music make this daily afternoon event a must-do for seasoned travelers and first-time visitors alike. Special themed events happen regularly. Resident DJ: DJ Maryalice.